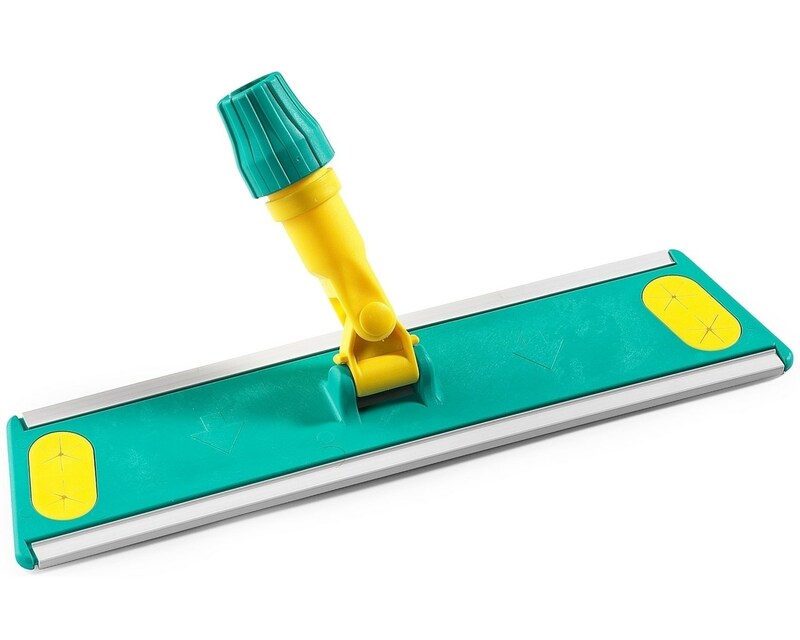 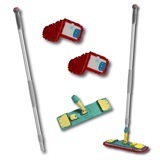 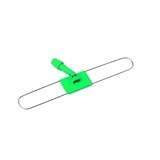 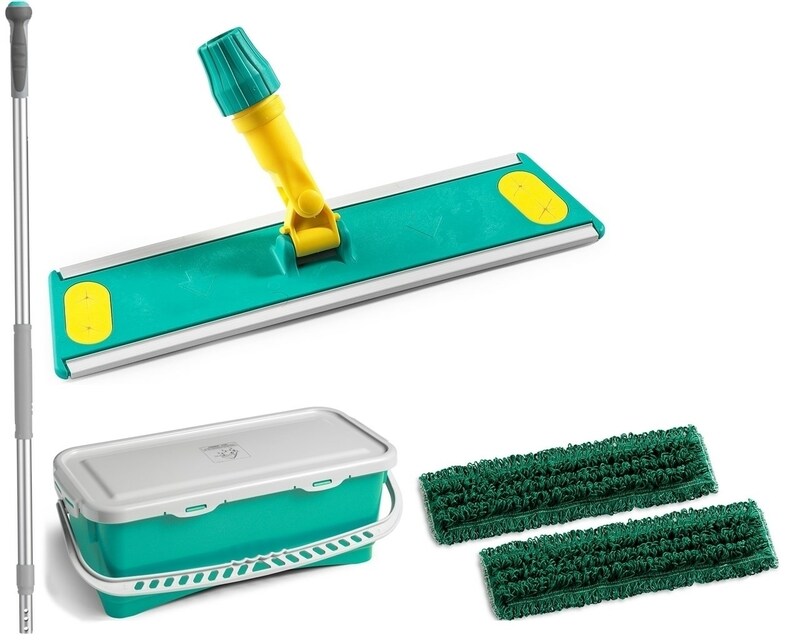 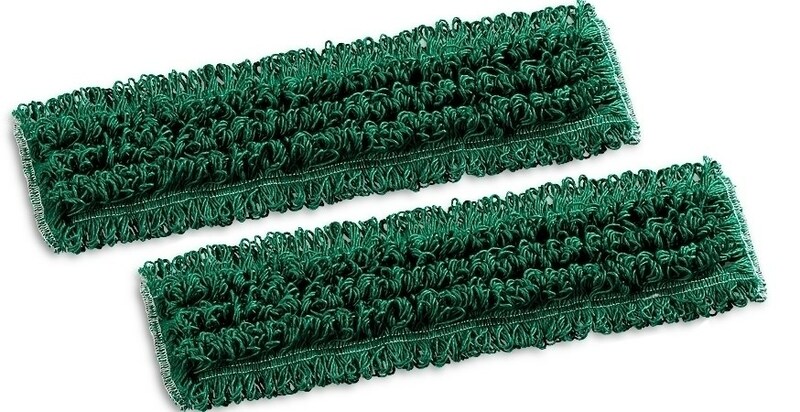 Ramon Hygiene Quick Pre-soaking Mopping Kit is a colour coded pre-soak system which allows you to have mops prepared and ready for replacement as and when needed. 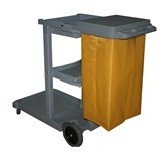 This is an ideal solution for smaller establishments such as fast food restaurants, cafes and reception areas. 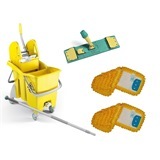 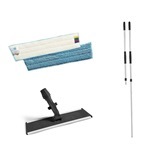 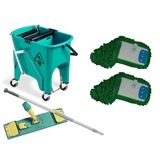 The kit contains a telescopic handle with a maximum reach of 184cm; in addition to a pair of Velcro fastening mop heads mop frame, and a ten litre hermetic mop bucket, which is capable of holding up to 20 individual mops. 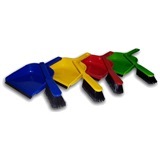 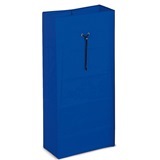 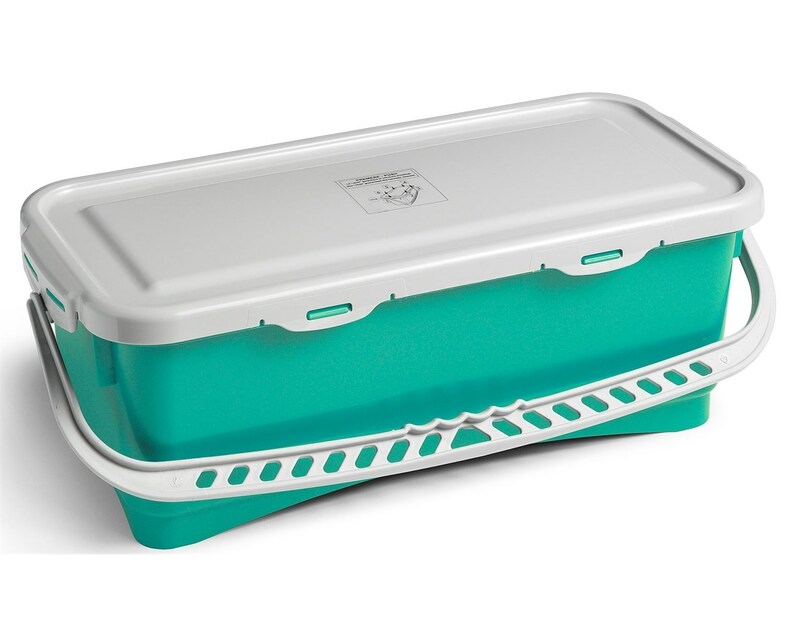 1x 10 litre mop Bucket (3225). 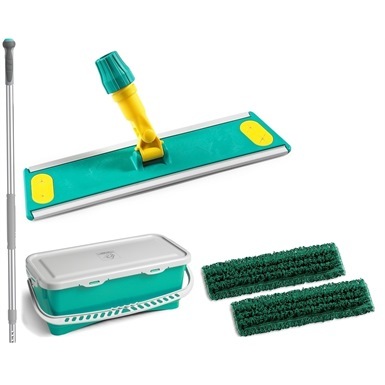 Mop bucket holds 20 mops.